The relativistic spin-orbit interaction can be particularly strong in transition metal dichalcogenides (TMDCs), like MoS2, MoSe2, WS2 and WSe2, which leads to large intrinsic spin splittings of the electronic bands in these layered structures. Electronic excitations, like plasmons or spin-density waves, have not yet been observed in these materials. 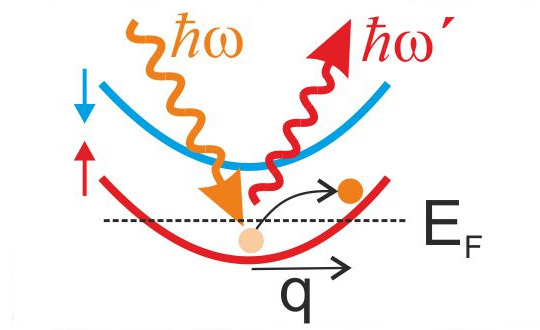 In this project, the aim is to observe and systematically investigate low-energy excitations like plasmons and spin-density waves in TMDCs by resonant Raman scattering.